Looking for a specific German recipe? Use this search box in the upper right corner and see if it's already been posted on this site. 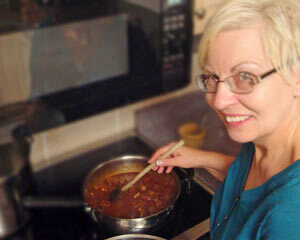 The quickest way to get an answer is to post your request on my Quick German Recipes Facebook page. There are over 117,000 German Foodie Fans who love to help. If you can't access Facebook, then please fill out the form below. I usually respond within 24-36 hours. Sometimes when I'm travelling, I don't have internet access, so please be patient. I really do check for mail the moment I'm connected again. Other Lost and Found Recipes! Click below to see requests from other readers. Looking for a recipe for a pan-fried pancake made with flour, sugar, baking powder, baking soda, and eggs. I'm looking for a recipe for tatar that has hamburger meat and raw egg?